Big Sur, located on the Central Coast between Carmel and San Simeon, is one of the most amazing sections of the California Coast. Nacimiento Fergusson Road, leading from Pacific Coast Highway into the Santa Lucia Mountains, is rated the most scenic/spectacular climb in both California and America. 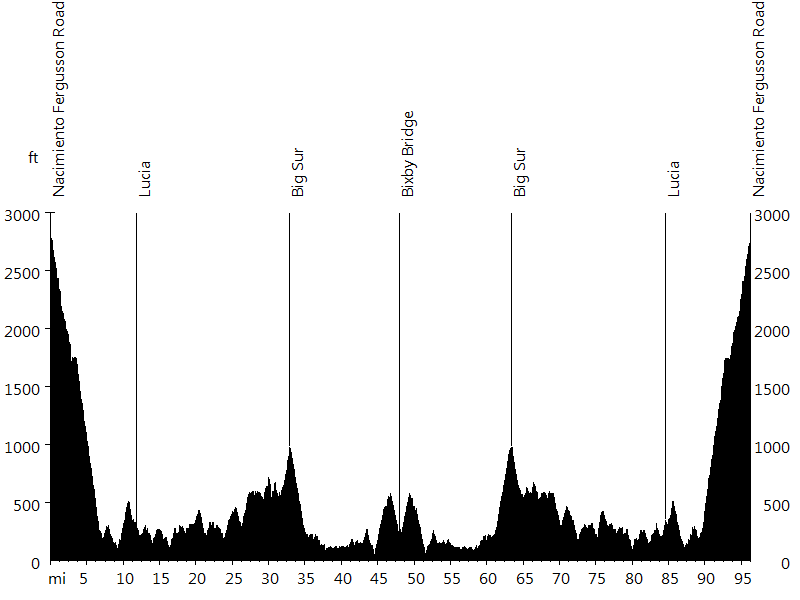 This ride starts at the top of Nacimiento Fergusson Road and leads north to Bixby Bridge and back. 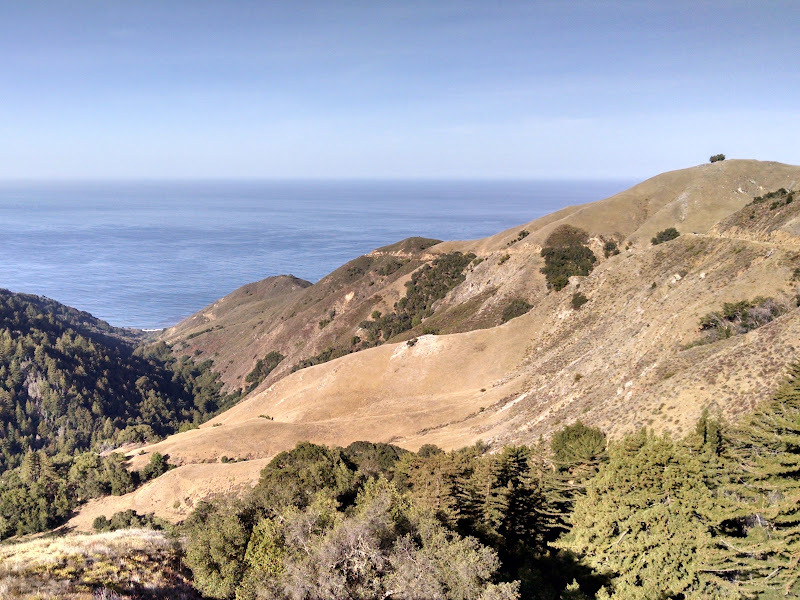 After a seven-mile descent, the route turns onto Highway 1, eventually passing through the towns of Lucia and Big Sur. 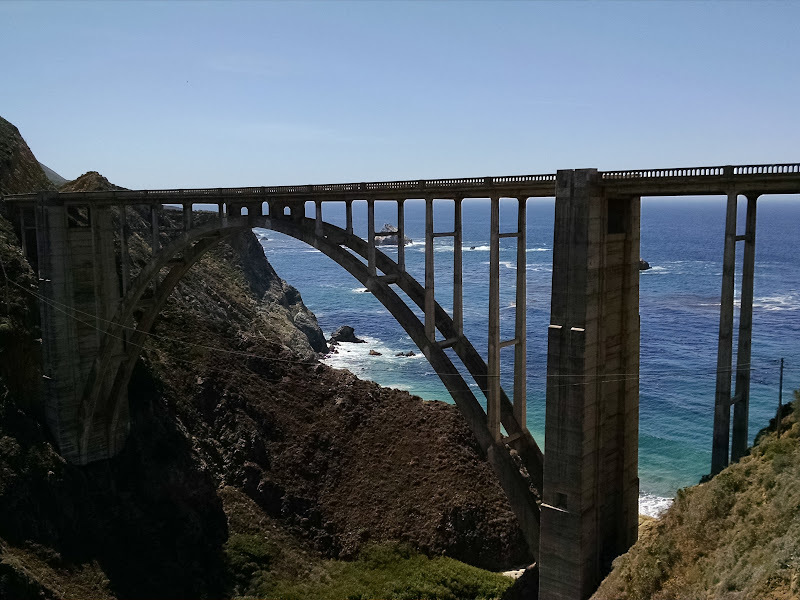 Bixby Bridge, the turnaround point, is one of the most photographed bridges in California. 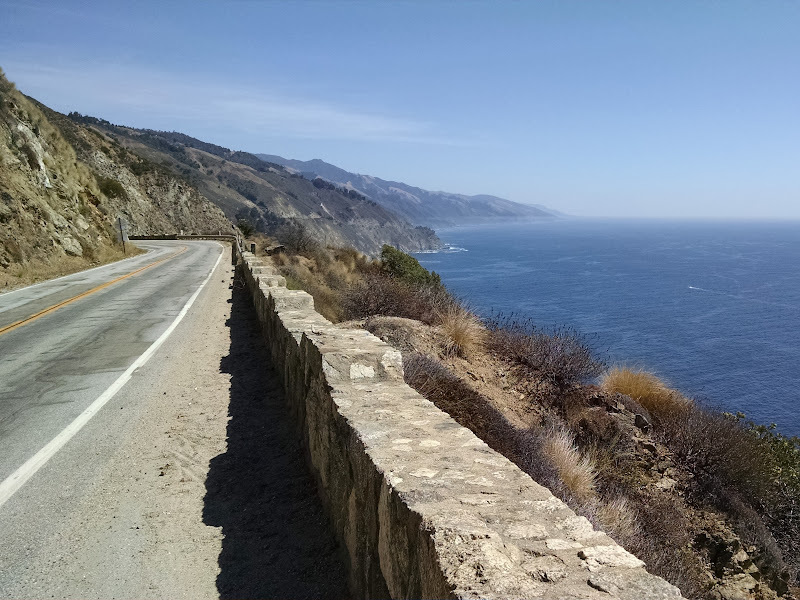 Pacific Coast Highway is constantly ascending and descending, often times with a narrow shoulder. 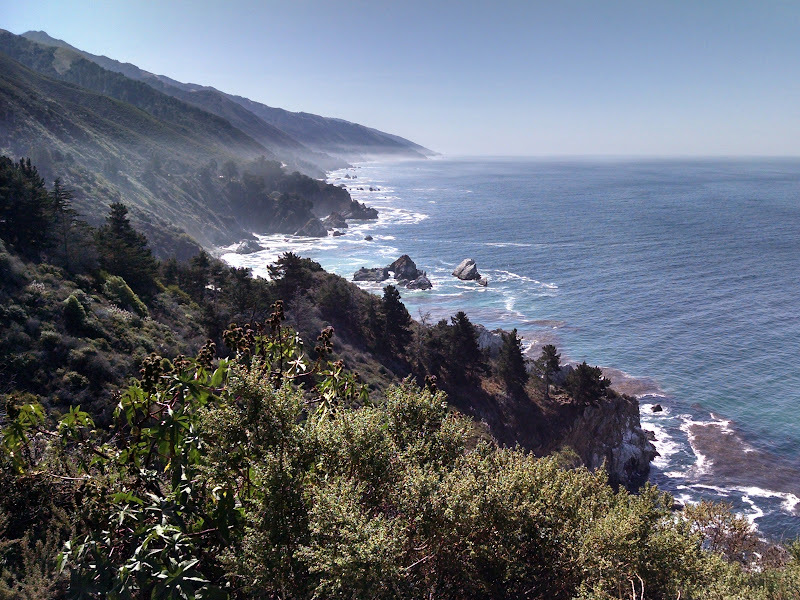 On the way south, Julia Pfeiffer Burns State Park can be seen, featuring a waterfall dropping into the Pacific Ocean. Sandra and I went wine tasting to Paso Robles, together with Lucina L., Mike R., and Sue and Rob Z. Since Big Sur is not far, I was able to get this ride in. We want to return when the wildflowers are blooming and stay at the Post Ranch Inn.